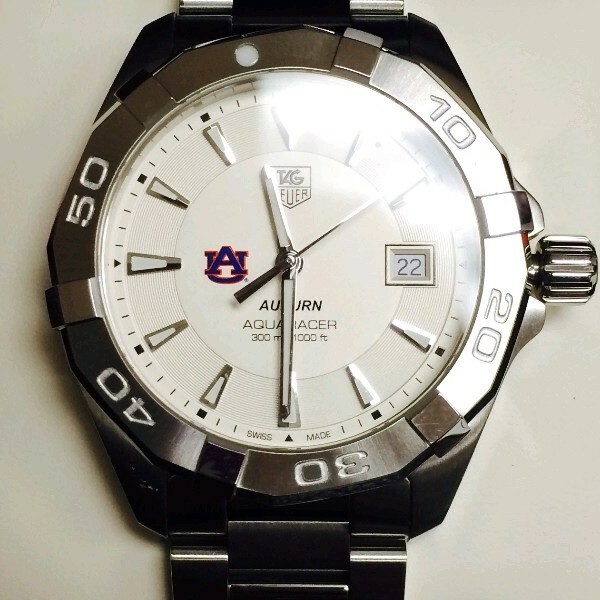 This handsome watch is the perfect accessory whether in the office or at the game. The Tag Heuer Aquaracer features all the hallmarks of fine Swiss watchmaking with a 316L stainless steel case and bracelet, a unidirectional bezel, and luminescent hands and dials so you can read it in the dark. Cap that with an elegant white dial accentuated by the orange and blue AU logo, and you have a watch you really can wear anywhere.